I'll be offering healing sessions at the Sanctuary for the duration of the festival, pre-booking is available about two weeks prior and any open appointments can be filled once you arrive by coming to reception at the healing sanctuary to get booked. See you there! Bhakti Fest is the premier yoga, sacred music, and personal growth festival in the United States. Since 2009, for six days each September, we have featured the best Yoga Teachers, Kirtan Musicians, and Workshop Leaders in the world. We are part of the Center for Spiritual Studies, a 501c3 nonprofit that supports charities across the globe, mainly in India. Proceeds generated each year, after we cover our costs, go to our chosen causes. We accept donations to help us provide extraordinary festivals and give support to those less fortunate than us. We hope to see you in the Bhav! Bhakti Fest celebrates the devotional paths of yoga, Kirtan (sacred music), and meditation. Our festival is a drug and alcohol free vehicle for evolution of human consciousness through a heart-centered revolution. Bring your yoga mats this September to the idyllic Joshua Tree Retreat Center, located in the beautiful region east of Los Angeles. Practice with the best yoga teachers in the world, dance to sacred music by world-renown Kirtan artists, and take workshops with leaders in the field of personal growth. Camp out beneath the stars or stay at one of our many accommodations on and offsite; enjoy the swimming pool and free filtered drinking water; stop in at The Bhakti Family Village and expose your children to other enlightened youth and families; enjoy the best vegetarian food at any festival. We offer Student, Senior, Military and Local Resident discounts. We are building community—please join us! A class I designed as a multi-sensory guided visualization journey within to build a temple in the mind. An experience in activation to explore deeper the abilities we have as humans to create a space in the minds-eye of individual sanctuary and temple for healing. To nurture a self-designed space for self-love and development that embodies aspects of earth and cosmic nature, healing waters, color therapy and aromatherapy with some hands on energy adjustments and craniosacral therapy as we move through the experience. From these building blocks and modalities, participants will be able to take home some tools to continue to grow their inner healing sanctuary. The experience holds the intention to initiate self into a space of deep relaxation, comfort and connection to the vast worlds of healing innate within each of us. Since 2011, for five days each May, we have featured the best yoga teachers, Kirtan musicians, healers and workshop leaders in the world. We are part of the Center for Spiritual Studies, a 501c3 nonprofit that supports charities across the globe, mainly in India. Proceeds generated each year, after we cover our costs, go to our chosen causes. We accept donations to help us provide extraordinary festivals and give support to those less fortunate than us. Let's gather for the first real heart-centered festival of the year. On May 10-14th we celebrate the Divine feminine energy that dwells within all of us and honor the Motherly Love that is so sorely missing on our planet. In reverence and love for the Mother, join us in celebration this Mother’s Day weekend. Connect deeper with self and the innate strength of being female. Women are so powerful – where we are in this time/space continuum our calling towards more optimal energetic alignment is strong – join us to walk through rituals and practices to gently awaken and align clearer with your inner wisdom. We’ll explore tools of intention to nurture and promote balance with menstrual cycles, enhance creativity, heal the connection to your sexuality and step into goddess energy. If you’ve been feeling the call to cultivate your relationship to the divine feminine and with your own voice as a woman, you are not alone. Traditional cultures have held sacred healing gatherings and rituals for women to encourage and support one another throughout millennia - in addition to tools for home-practice —this workshop serves as a place for conversation and community. Let’s come together to start 2018 strong. A workshop and women-identified-gathering curated by experiences – professional and personal - Rachel Lyn Durga, energy + spirit medicine practitioner and Ayurvedic integrative bodyworker, looks forward to connecting and sharing offerings of service. Join me at this festive event perfect for the last items on your list! An array of local makers and doers will have offerings for all. As a special added treat, creator tsii made and beloved collaborator Greta Melcher will be w/me for this Nordeast market. Also available will be self-care goods you and loved ones from Radiant Heart Apothecary - a line of in-home healing tools including Ayurvedic & Herbal body oils and Crystal Vibration Tinctures. We will also have a special selection of pieces available from tsii made to boost energies of the season. Did you sleep on your holiday shopping list or were you just waiting for our party? Either way, get over to FOOD BUILDING for some shopping, eating, drinking and making merry. We’ve extended to two days this year to make sure all you procrastinators are covered. Enjoy a Fulton Beer while you wrap your gifts in our totally stocked and FREE gift wrapping station. Treat yourself to a little acupuncture or a card/energy reading in between snacking and crossing everything off of your list. Movies and music and more. Skip Target, we’ve got your covered with gifts your family and friends will love and you’re taking care of you while you do it! Where: FOOD BUILDING in NE Minneapolis. Join me at Healing Elements on Como in Saint Paul for a Holiday Market showcasing women founded businesses - I'll be there to chat about healing sessions, upcoming workshops and a few self-care items to boost your home apothecary. Shop mindfully and beautifully crafted goods in an uplifting environment. Sip some tea and meet the makers behind Healing Elements boutique & beyond. Yummy snacks and herbal refreshments will be served throughout the event - See you soon. Bhakti Fest is the premier yoga, sacred music, and personal growth festival in the United States. Since 2009, for six days each September, we have featured the best Yoga Teachers, Kirtan Musicians, Healers and Workshop Leaders in the world. Bhakti Fest celebrates the devotional paths of yoga, Kirtan (sacred music), and meditation. Our festival is a drug and alcohol free vehicle for evolution of human consciousness through a heart-centered revolution. Bring your yoga mats this September to the idyllic Joshua Tree Retreat Center, located in the beautiful region east of Los Angeles. Practice with the best yoga teachers in the world, dance to sacred music by world-renown Kirtan artists, and take workshops with leaders in the field of personal growth. Camp out beneath the stars and feel the high vibrations of the community. Sister Seekers Gathering is a women's weekend retreat created from a vision of community, acceptance, empowerment and love. In a world where women are taught to be divided and shown how to appear, many have lost sight of what it is to be truly in touch with self and others. Join me for this beautiful gathering - I'll be offering donation based healing sessions each day - they are first come, first serve so please visit me early. We seek to get back to our roots, break down stereotypes, bond hearts and allow open expression of healing and community through sisterhood. As sisters, we lift each other up and support one another on our collective and individual journey. We exist to build a sisterhood where we connect with each other, ourselves and our Mother Earth. We will be surrounded by hundreds of acres of private woods with grounds including a wood burning sauna, 5 miles of groomed trails, a rose garden, a labyrinth, a beaver pond, a frog and turtle pond, tree swings and hammock, outdoor fire pits, indoor fireplaces, nature trails and animals. In addition, a marketplace, wellness tent and healing tent will be a part of the event. This space is for you to explore Self, others and nature. Allow the spirit of the surrounding foliage to envelope you and guide you on your journey of seeking. Shakti Fest is the Springtime sister-event of the Bhakti Fest, the premier yoga, sacred music, and personal growth festival in the United States. Since 2009, for six days each September, we have featured the best Yoga Teachers, Kirtan Musicians, Healers and Workshop Leaders in the world. Shakti Fest celebrates the devotional paths of yoga, Kirtan (sacred music), and meditation. Our festival is a drug and alcohol free vehicle for evolution of human consciousness through a heart-centered revolution. 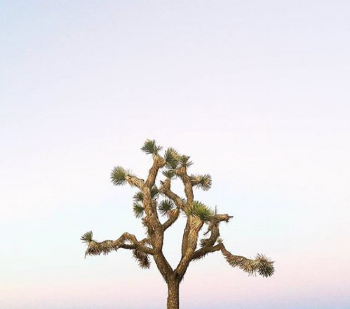 Bring your yoga mats this May to the idyllic Joshua Tree Retreat Center, located in the beautiful region east of Los Angeles. Practice with the best yoga teachers in the world, dance to sacred music by world-renown Kirtan artists, and take workshops with leaders in the field of personal growth. Camp out beneath the stars and feel the high vibrations of the community. Join me in the desert this Spring for a metaphysical healing experience. Om Purusha is a salutation to our Universe (Purusha) via the primordial sound (Om) in Vedic studies - the energetics and natural dry-warm elements of the desert are truly a divine healing environment. Join me and Spot Spa Urban Wellness on Saturday, April 8, 2017 from 11am to 5pm for a beautiful event hosted by LAB Mpls - an event comprised of curated local businesses and makers called The Collective. This will be held at Loring Social located on the main level of LAB Headquarters. The Collective is beyond your typical pop-up – it’s a modern marketplace – an interactive experience to shop local. Our goal with The Collective is for you to join us in our mission, which is to create, connect, and collaborate. Join W&D at Studio 125 Mpls on Saturday, March 4th 11-3pm for the latest and greatest in the beauty and wellness scene in Minneapolis. Event is free for attendees! I will be there offering intro Intuitive Readings featuring the Love Heals Deck by Spot Spa. Take a moment to align with your higher power at this beautiful event. Limited space available for the event rate of $1 per minute. If you'd like to book a private Intuitive Reading, click here. Winter is in full swing. A few weeks past the solstice and the holiday buzz behind us, turn inward to nurture a stronger connection with yourself. Dinacharya rituals (Sankrit for: your vehicle for the day) are presented in a way you can easily integrate Ayurveda into your life. A workshop designed to introduce Ayurvedic self-care tools to promote a radiant calm approach to our abundantly full lives. Led by myself at Spot Spa Uptown - Located at 1600 West Lake Street in Minneapolis. We are all unique and beautiful - We'll look at your vikruti (imbalances effecting your natural state or dosha) in a light and loving way with like-minded souls. Your Dinacharya kit will include a custom body oil blend for self-Abhyanga (oil massage). Join me for nurturing rituals and soothing traditions from India that promote well-being and clear consciousness in our busy lives. Come and experience a few tools and techniques to advance and grow your own daily self-love practice. Join me at Spot Spa Uptown on Sunday, December 11th for our Annual Client Appreciation Holiday event! I'll be doing intention card reading w/Spot's beautiful Love Heals deck - come on in! Event starts at 2:00pm - lounge, shop and chat w/the healing arts professionals about all things well-being. Explore the art of Ayurvedic body-care thru warming rituals with healing oil, self-massage, dry brushing and at-home hydrotherapy with me for an evening at Spot Spa Uptown. We'll chat about techniques and benefits of detoxification and nourishment for optimal well-being while we sip herbal tonics - As we transition into fall ground yourself within and nurture your connection to self through these healing practices. Join me with the Minnesota Ayurveda Association on October 8th in at the Yoga Sanctuary in South Minneapolis to learn more about our community and visit with the beautiful practitioners of the local Ayurveda beat. I'll be there to chat with you about Ayurvedic Bodywork and Self-Care Rituals - special offers will be available. More info to come! Looking forward to seeing your beautiful faces. The Fall Equinox is fast approaching, a perfect time to connect and nurture a stronger connection with yourself. Dinacharya rituals (Sankrit for: your vehicle for the day) is presented in a way you can easily integrate Ayurveda into your life. A workshop designed to promote a radiant calm approach to our abundantly full lives. Led by myself at Spot Spa Uptown. located at 1600 West Lake Street in Minneapolis. We are all unique and beautiful - Take a look at your dosha and vikruti (imbalances effecting your natural state) in a light and loving way with like-minded souls. Your Dinacharya kit will include a custom body oil blend for Self-Abhyanga (oil massage). Join me for nurturing rituals and traditions from the East help to promote well-being and clear consciousness in our busy lives. Come and experience a few tools and techniques to advance and grow your own daily self-love practice. Looking forward to providing mini CranioSacral Therapy treatments and Chakra Energy Work for the hard working artists at the event - main event is open to the public - enjoy! With the Summer Solstice on the horizon, nurture a stronger connection with yourself during this energetically outward season. Dinacharya rituals (Sankrit for: your vehicle for the day) is presented in a way you can easily integrate Ayurveda into your life. A workshop designed to promote a radiant calm approach to our abundantly full lives. Led by Ayurveda Bodyworker and healer, Rachel Lyn Durga, at Spot Spa Uptown. located at 1600 West Lake Street in Minneapolis. We are all unique and beautiful - Take a look at your dosha and vikruti (imbalances effecting your natural state) in a light and loving way with like-minded souls. Your Dinacharya kit will include a custom body oil blend for Self-Abhyanga (oil massage). Join us for nurturing rituals and traditions from the East help to promote well-being and clear consciousness in our busy lives. Come and experience a few tools and techniques to advance and grow your own daily self-love practice. Now is the time with the Spring Equinox approaching to nurture a stronger connection with yourself. Dinacharya rituals (Sankrit for: your vehicle for the day) is presented in a way you can easily integrate Ayurveda into your life. A workshop designed to promote a radiant calm approach to our abundantly full lives. Led by Ayurveda Bodyworker and Spot Spa staff, Rachel Lyn Durga, at Spot Spa Uptown. located at 1600 West Lake Street in Minneapolis. Sivananda offers many yoga retreats and lifestyle workshops. Lonely Planet listed it as a Top 5 global yoga destination. If you're planning a vacation this winter, please check them out for consideration. To encourage women to learn rituals and tools for their own self-care and well-being. Mini-treatments available including hand & foot reflexology and Indian head massage. All sessions incorporate the boutique green-wellness line, Nell's remedies, and Dr. Hauschka body products. Other lines in attendance include Lotus Wei for aromatherapy education.